Mattel is going to be releasing quite a large number of new action figures as the holiday season rolls around. The toy company has several brand new lineups and plans for new basic and Elite series of action figures based on everybody's favorite WWE Superstars to hit the shelves very soon. However, it appears that Mattel will be introducing a new line of action figures later on this year called "Top Talent." As the name suggests, this will provide collectors the opportunity to retrieve new and updated versions of some of the best wrestlers that the company has to offer at the moment. There will be a basic set consisting of four figures in addition to a separate Elite wave that will also include the same number of new toys. Without any further introduction, let's take a look at some of WWE's "Top Talent" that will be coming out by the end of the year. The basic set of "Top Talent" figures consists entirely of former world champions who are truly some of the biggest players on the main WWE roster today. 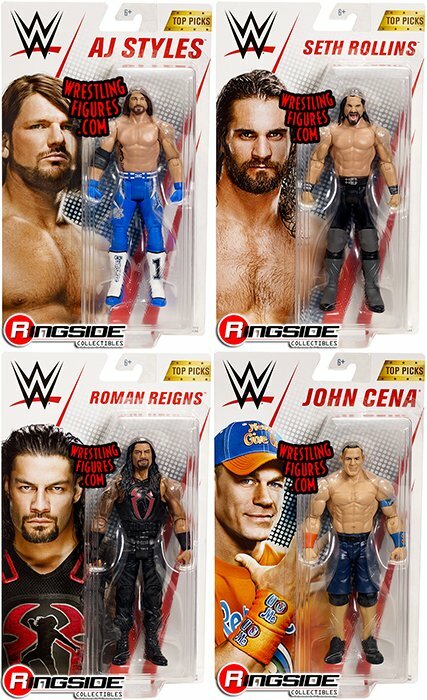 This series includes a brand new version of current Universal Champion, Roman Reigns, as well as an updated figure for the Intercontinental Champion, Seth Rollins. Both of these figures are made in singles attire rather than their matching Shield gear. Also in the basic series is AJ Styles in his blue wresting attire. The fourth figure will be John Cena, who has a grinning headscan and orange and blue wristbands. "Top Talent" basic figures will be sold separately starting sometime in early-November. Each of these can be pre-ordered here. "Top Talent" Elites this year will also include four updated versions of the top WWE Superstars on Raw and SmackDown. Each of these figures include interchangeable hands, as they also display new lifelike facial expressions from Mattel's new True FX headscan technology. Seth Rollins returns with the Raw Tag Team and Intercontinental Championships. AJ Styles is also back with a figure based off of his WrestleMania 34 match from earlier this year. 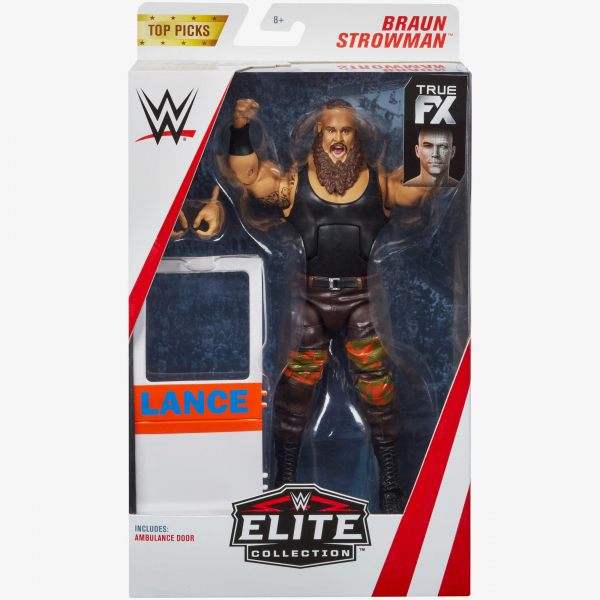 Braun Strowman gets a new Elite figure here which includes an ambulance door. Finally, Finn Balor receives a new Elite figure based off of his appearance at WrestleMania 34 in April of this year. These Elites will be out in early-November and can be pre-ordered now.